To support Thurrock 100 and help keep it free for future years, please buy our fully illustrated fun book of stories about local history, only £5 plus postage. The stories were collected by writer Laura Trevail, and 100 corresponding silk flags were designed by Artistic Director Ali Pretty and artist Jacci Todd. 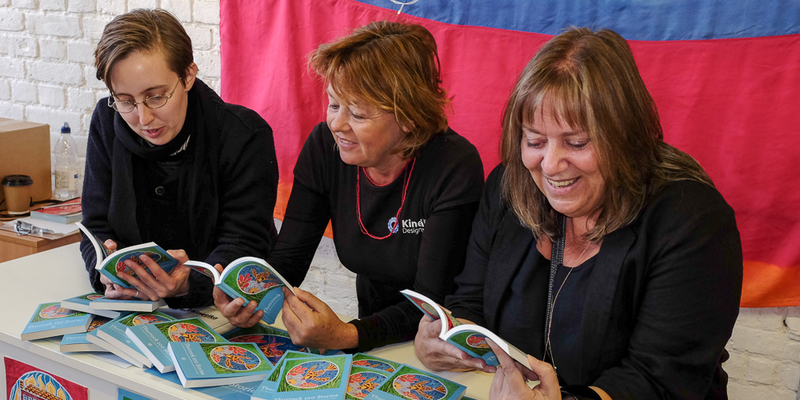 All 100 stories and the flags that illustrate them have been collected in the colourful, beautifully-produced book, along with historical information written by the late Jonathan Catton especially for the project. The publication is pocket-sized so that it can easily be taken on walks. Proceeds of book sales go back to support the project for future years. Books can be purchased in person at Grays Library or online HERE. “Just received this book, having trouble putting it down. Lovely book, nicely put together, I’ve been away from Thurrock for many years now and it’s a nice reminder of what I’ve left behind. You have done a great job on it.” Sue, verified owner.